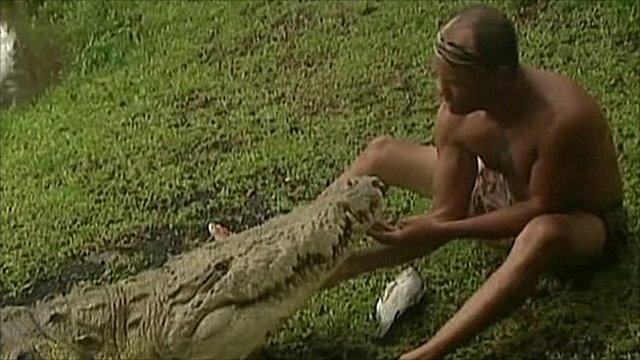 A fisherman in Costa Rica has been explaining his unusual relationship with a crocodile called "Pocho", who he plays with like a pet dog. Chito says he found the reptile with a gunshot wound 20 years ago on the banks of the Parismina river and nursed him back to health at his home. He says he released Pocho into the wild but he followed him back, and the pair have been inseparable ever since.